For going on five years now, the spirits experts at PourTaste have been hosting a multi-day celebration here in Nashville, entirely focused on the art of the cocktail, from the distilleries making spirits to mixologists turning them into sips worth savoring. Come April 25 to 29, the Nashville Cocktail Festival returns for 2018, with five days of learning, exploring and tasting, headquartered at the Pavilion East in East Nashville. Among the Nashville Cocktail Festival speakers in 2018: author and tiki culture celeb Jeff “Beachbum” Berry, port wine pro Chris Forbes and others, all sharing their specific expertise, and helping to shed light on growing cocktail trends. Friday, April 27: “The Art Deco Party,” exploring the cocktail culture of the 1920s and ‘30s, and how new and unusual ingredients helped form the creative craft we all enjoy now. Saturday, April 28: “Polynesian Pop,” focused on the tiki-bar boom in the ‘50s and ‘60s (and its major return today), with rum-based cocktails and other island-centric tastes. Sunday, April 29: “Brain Freeze,” digging deep into the resurgence of the frozen cocktail, and how it’s grown from over-sweet party fare into complex creations popping up in high-end bars and restaurants. Those events are all open to the public, but they’re just a part of what PourTaste has going for 2018 — special ticketed dinners with limited seatings and other VIP affairs spread throughout the city are also on the schedule for that week, meant not just to spoil cocktail drinkers in Nashville, but to inform and expand the talents of our bartender class. Every year that this fest goes down, we get to experience new corners of cocktail culture, and the Nashville cocktail scene gets that much better. We’re looking forward to its return. Nashville Cocktail Festival tickets are on sale now through nashvillecocktailfestival.com, along with all-access passes that include admission to all the main Pavilion East parties, and VIP passes that tack on an NCF afterparty and a gift bag. Those range from $35 (individual parties) to $150 (VIP). 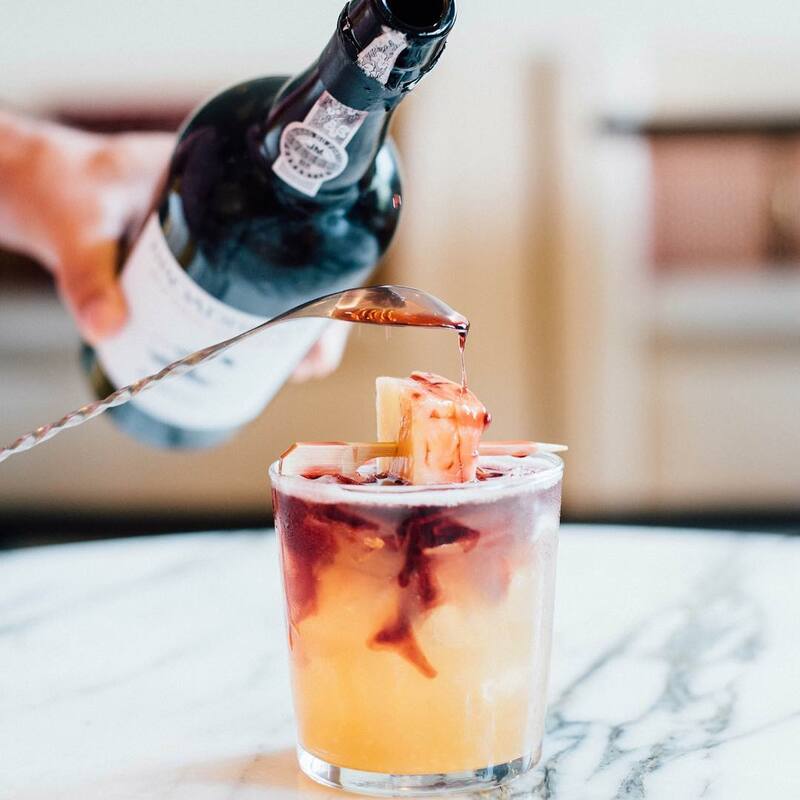 To keep up with the latest — and to see snapshots of the kinds of cocktails you’ll see at the fest, like the one above — follow the Nashville Cocktail Fest on Instagram, at @nashvillecocktailfest. Related: If attending makes you fall in love (or more in love) with East Nashville, and you’re ready to start househunting there, please let us know. We have some incredible East Nashville home listings up right now, including a renovated Victorian in Cleveland Park, an updated 1910 bungalow in Lockeland Springs, and an overhauled midcentury ranch in Rosebank. Check out the full rundown of ACRE listings here; we’d be happy to show you any/all in person, just reach out.